Trailer for Frank vs. God. David Frank (Henry Ian Cusick) thinks he’s lost everything. Unable to move past the grief of losing his wife, this former lawyer has all but given up. That is, until a tornado not only destroys his house, but takes from him the last real connection to the world, his beloved dog Brutus. When the insurance company deems the loss an “act of God,” David is desperate, and is convinced someone has to pay. He decides to serve God... with a lawsuit. David’s provocative and clever legal antics turn the courtroom into a riveting spectacle as he cross-examines representatives of the world’s religions. But when he meets his match—charming and intelligent defense lawyer Rachel (Ever Carradine)—sparks fly and his assumptions are challenged. David’s act of desperation just might be his salvation. 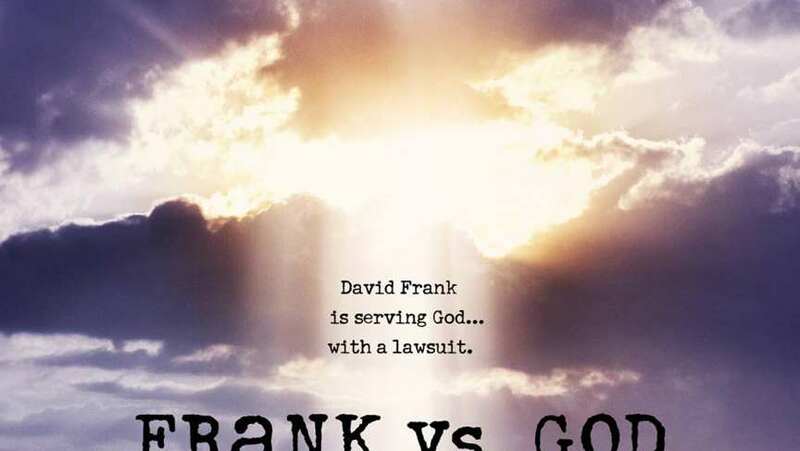 Frank vs. God is a comedy that asks the big questions with a light-hearted tone and an open mind. The film is an uplifting story of one man’s search for answers, by taking them to a higher court.